Horror movies can sometimes be good without being overly scary; their effectiveness coming from production values, lore, characters or a pulse-pounding music score. Lights Out is not one such movie. It is good solely because it is scary, it’s simple ingenuity in villain design and use of the dark counteracting its muddled backstory, pacing issues and reliance on clichés. David Sandberg’s feature length adaptation of his 2014 short film retains the prized usage of safety in the light, and horrendous death in the darkness that made the short so chilling; with the shadowy visage of the spectre Diana terrifying when the switch is flicked or the candle blown out. The opening, referential sequence is its best, with husband and father Paul, whose wife Sophie (Mario Bello) suffers from depression and apparent schizophrenia, left alone in his warehouse late at night with the sensor-activated down lights proving tricky to navigate when a malevolent murderess stands in the darkness between them waiting to tear him apart. He stands alone in his office, baseball bat in hand, and when the lights go out the tone is set. The execution of scenes such as this give worth to the entire experience, with other suitably grizzly encounters involving two very unlucky police officers and being locked in the basement eliciting goose bumps in equal measure, but to fare better as a film the writing needed to elevate characters and situations above happenstance to serve each scare, and cause us to invest more in the family drama in the process. The core relationship between step-brother and sister Martin and Rebecca (Gabriel Bateman and Teresa Palmer) is awkward and forced, with the young Martin far too OK with his stepdad murdered, mum being crazy, being haunted at night and resorting to sleeping in the bathtub with a flashlight, and the writers wishing to point out that Rebecca is edgy (just look at the posters on her wall… she is bad news…) but her personality genuinely defying this. Independent? Yes. But her most questionable traits probably relate to her treatment of her ever-dependable boyfriend Bret (DiPersia), who consistently refuses to be the token character to die, and makes good use of his car key remote. Rebecca finds a very conveniently place photograph on the wall in her mother’s house that, along with a tape recorder that definitely shouldn’t exist outside of the darkest realms of the medical fraternity lead her to solve the mystery of Diana. She also tells Martin she’ll “be right back” at the start of the final act and is forced to face her fears to become a strong woman and resolve the issues of her past. 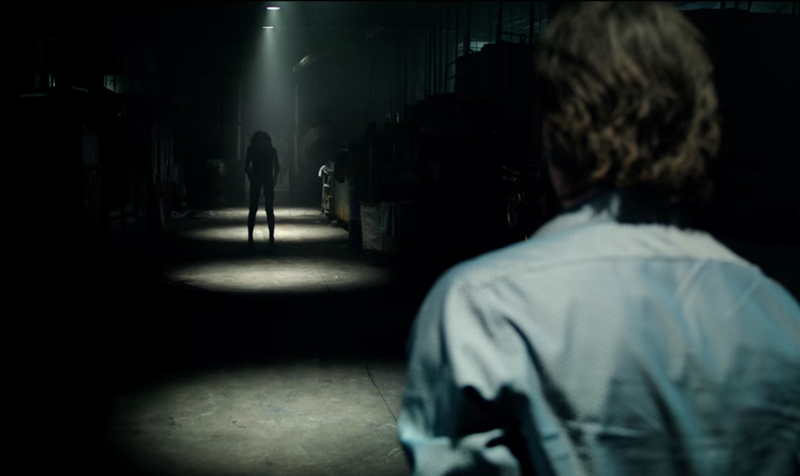 Like I said, Lights Out is good because it is scary, very scary, which helps distract from everything else. I would try this one later and would make a review myself. Glad I stumbled on your page, I like reading reviews of other movie lovers. Glad to have you on board! Hope you enjoy this one. Thanks for the heads up. It is coming in France le 24 of August looking forward to it. Nice review. Oh bit of a delay where you are, if you’re after some fun scares its worth waiting for. I a still gonna watch it, I had loved the short when it came out.. hope they have done that justice.. I watched the short a couple years back and thought this was gonna be rather crap, then again, I’m not a fan of “spooky supernatural scary scares”, though.